As a follower of European politics, it seems both the effects and consequences of austerity on the personal lives of the ordinary person cannot be underestimated. Inevitably, it is those who are most vulnerable within our societies who are affected by change the most. What events in Greece also show is the collective power of individual voices to challenge this. In the UK, though the extent of austerity is not as severe as in some other Euro countries, services here which are vital to vulnerable groups are still threatened by cuts, for example, in local authority funding. This includes SNAP Cymru and as a volunteer for the organisation over the last 5 months, I have learnt directly how valued its service is for those it helps so much. What is also very clear is the link between poverty, additional learning needs and the consequences for our society. 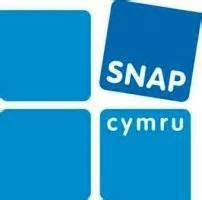 For SNAP Cymru it is paramount to retain the ability to empower families, young people and children through independent and reliable advice and guidance, particularly when parents face language or literacy challenges themselves. there to help and the unique needs of those who require guidance are compromised. SNAP currently plays a vital role in creating successful partnerships between schools and families. Due to new education legislation, however, changes in how needs are assessed will have a further impact on families who will require guidance on how to navigate the revised system and its processes within schools, local authority health and education. This is while SNAP’s own case records show an increase in demand for its services. Referrals concerning bullying, for example, have risen by 150% over the last two years while referrals coming directly from health professionals rose by 337%. In the end, SNAP Cymru’s vision of equal provision for all is stronger than any challenge, financial or otherwise, it may face. To defend its vision SNAP Cymru needs your support to continue providing free, accurate independent information, advice, support and guidance for all children, young people and families in Wales.